For many people, the thought of visiting the doctor (or a school nurse) might generate feelings of nervousness, anxiety, or even fear. Whether a medical office is located in a high-rise office building, a small clinic in a developing country, or in a room next to the principal’s office, the possibility of being overwhelmed by the impending visit is the same. Why is this so? Can anything be done to improve the interaction between medical professionals and patients? What role might schools have in teaching children how to communicate with those who provide med­ical care? Research clearly indicates that physicians and patients achieve better outcomes when they communicate effectively with each other, and when patients actively participate in their own care.1 Not only are patients (and providers!) more satisfied, but adherence to prescribed treatment improves, complications are fewer, and health outcomes more positive. Both the Accreditation Council for Graduate Medical Education (http://www.­acgme.­ org) and the Association of American Medical Colleges (http://www.aamc.­ org) have formally recognized the vital role of interpersonal communication between medical personnel and patients. Despite overwhelming evidence of its importance, not all health-care providers are great communicators, and many people are unsure of how to actively participate in their own health care—either because they don’t know how to do so or because they fear being labeled as being a difficult patient. Not only do people struggle to do what is best for their health, they may also find it difficult to interact with medical personnel. 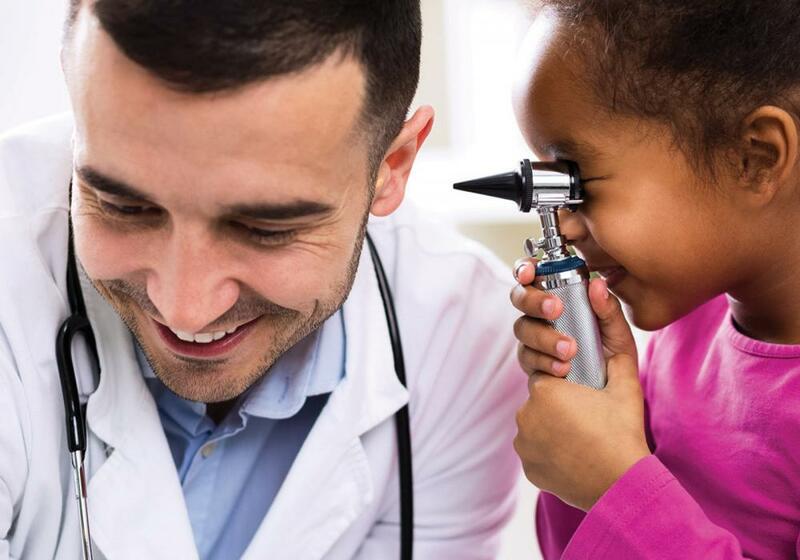 These patterns begin early in life; thus, to ensure greater engagement, teaching children how to interact with medical professionals from an early age makes a good deal of sense. This article outlines a practical framework for understanding what drives engagement in personal health and provides specific recommendations for helping children and teens to develop their skills in these areas. The suggestions are classroom-centered, but many are applicable to the home environment as well; teachers and other personnel (e.g., guidance counselors, school nurses) are encouraged to work with parents to determine the most appropriate ways to target particular children or groups. One reason people experience difficulties in interacting with clinicians is their conviction that they have little to contribute to the medical encounter. Because they lack formal training in the health professions, they think they have no important knowledge to share. Indeed, it can be challenging to dialogue with a specialist. Adding to the problem, medical interactions are often rushed, occur in unfamiliar environments, and may involve new concepts and jargon. Patients may be distracted by uncomfortable experiences such as that awkward paper gown or stresses associated with the procedures themselves. As with most things, verbalizing information about one’s health gets easier with practice, and “normalizing” these types of exchanges will generally make them less anxiety-provoking. In addition, having an appropriate vocabulary to use is useful. Childhood experiences are associated with later life outcomes, as patterns are set and habits learned—this is true in many areas, including health.7 Numerous studies show that health habits related to things like diet, exercise, and dental hygiene start very early in life,8 but little research has focused specifically on the early establishment of good health-stewardship in the context of the medical encounter itself. What can we do to instill these crucially important communication and self-advocacy skills? What techniques are most relevant for young people, and how can we best model and teach them? Just like anyone else, children need three specific things in order to change health behaviors.9 First, they need information—if they don’t understand what they should be doing, it will be almost impossible for them to do those things. Second, they need motivation—simply knowing what to do isn’t enough; they must also want to do it. Third, they need strategies that can help them to overcome barriers and achieve the goals that they have set for themselves. Let’s examine each of these in a bit more detail. Provide students with correct names for body parts and functions, rather than creating imaginary labels as “stand-ins” for proper terminology. When students ask questions about body parts and/or functions, provide simple, straightforward, age-appropriate answers; do not discourage questions or convey embarrassment/anxiety when discussing the human body. Target information to the student’s developmental level. For example, studies show that children age 5 and below know what medicine is but identify it by shape, color, and taste. Starting around age 6, children are likely to begin recognizing brand names and identifying the therapeutic role of the drug (e.g., a “cough medicine”). From about the age of 10, children can understand more complex explanations of medications and their use.10 Thus, a question from an elementary-age child about why she or he has to take a medication will usually involve simple explanations of how the medication will help the body, while the same question from an adolescent will require a more detailed discussion about prognosis and likely outcomes in the presence and absence of the medication. Insert an unfamiliar word into a role-play, encourage questions about the meaning of the word, and then positively reinforce the queries. Strengthening skills is important here—the role-play need not always be health related. When children feel comfortable seeking information, broaden the practice to include other challenges, such as unclear answers or rushed responses. 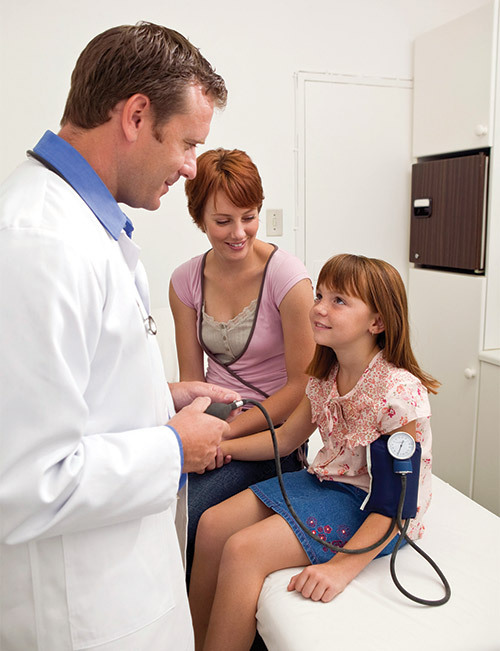 Discuss what will likely happen during a visit to the doctor. If basic medical equipment is available (e.g., tongue depressors, a stethoscope, a blood-pressure cuff), these can be used to demonstrate or even “practice” the visit. With appropriate permissions, some of the more anxiety-provoking aspects of the visit (e.g., vaccinations) may also be addressed. Inviting the school nurse and/or another medical professional to the classroom for this discussion may be especially helpful—they can share their expertise, and through the interaction mitigate the anxiety some students may be feeling. Help the children to formulate their questions ahead of time; these can be written down and shared with the clinician; older children and teens can take the list along as a reminder of what to ask. Teachers or school nurses may want to provide parents or other caregivers with guidance on developing a list of questions or concerns for visits about special medical issues. In all cases, children should be encouraged to be open with their doctors. There are no “bad” or “dumb” questions; if the child has a concern or if something is confusing, this is valid, and his or her query is warranted. Taking notes during a medical encounter (or immediately after, if it is impossible to do during the interaction) is a useful strategy for older children and adolescents. Even jotting down a few key words can make a difference. If this is not feasible, the doctor can be asked to provide a printout summarizing the visit and his or her recommendations. People usually know what they want—what they find motivating—better than others do. Children are no different in this regard. They have strong preferences, so finding the right goals and the right rewards can dramatically improve health outcomes.12 Talking to children and adolescents about their interests and concerns can provide key insight into what drives their behaviors; not only is this useful for parents, teachers, and health-care providers to know, but when young people learn to recognize these in themselves and to channel their energies, the resulting motivation is powerful. Make healthy food selections yourself and discuss these choices with students. Students notice what the adults in their lives eat—cafeteria choices or what a teacher or administrator packs in a sack lunch can provide an example of healthy eating. Discussions of good choices can also be informally incorporated into other topics, both inside and outside the classroom (e.g., sharing the details of a holiday meal or a newly found recipe). Preparing healthy foods—whether following a recipe or creating a unique concoction—can be both fun and educational. This is perhaps more easily applied at home, but can also be incorporated into the classroom through simple projects related to holidays or other special events. Depending on the facilities available, a more extensive application may be possible in home economics and health classes (with more “homework” required when onsite facilities are lacking). Data suggest that teaching about food as part of the formal curriculum has an impact well into adulthood.13 In all classroom activities involving food, be alert to ensure student well-being—including teaching fire safety, avoiding burns, checking for allergies, and so on. Try incorporating “shopping” activities in the curriculum, taking care to focus on positives and avoiding overt criticism of family food choices. Encourage parents to include their children when shopping for groceries and even allow them to choose some healthy options for the family. To model good communication with health-care personnel, encourage parents (perhaps through a handout or the school newsletter) to allow children to accompany them to some medical appointments, such as for annual flu vaccinations. This allows children to see important adults in their lives interacting in a proactive and engaged way with clinicians. Ask children to choose a developmentally appropriate, specific health behavior (e.g., eating at least three servings of fresh produce per day) that they would like to incorporate into their lives, or a target health indicator that they’d like to achieve (e.g., being able to run a mile in less than eight minutes). Then, divide the task into several parts. For example, for a child who doesn’t eat many fruits or vegetables, it might make sense to first eat a single serving of fresh produce per day before moving on to two, and eventually three. If a child currently takes 12 minutes to run one mile, setting a target of improving by 30 seconds per week might feel less overwhelming than thinking about the need to shave four whole minutes from one’s time. Children should be involved in setting the size of the steps, showing them how to take responsibility for the choices that will influence their health. Reinforce goal attainment in appropriate ways. Sometimes simply achieving the goal is reward enough, but with some goals (or some people), an external reward is more effective.17 Be sure to keep the rewards consistent with the goals—rewarding healthy eating with an ice-cream cone is probably not a good idea. Encourage children to put things in places where they will be seen and remembered. For example, keeping exercise shoes near the door or healthy snacks on the top shelf of the refrigerator can be an easy way to reinforce target behaviors. Incorporate record-keeping technologies into classroom instruction. As mentioned previously, technologies now exist that can help people keep track of health behaviors and that make record-keeping fun—teachers can incorporate data from these devices into the curriculum, such as by using pedometer data in a mathematics class or to keep track of classroom competitions in a physical-education class. Researchers are developing apps to encourage adherence to all sorts of activities from medications to healthy lifestyles. Some of these apps are very specialized, such as the ones being developed for pediatric transplant patients at Boston Children’s Hospital.18 They aim to tailor them to different age groups and medical issues—in fact, some will eventually adjust to the user as his or her needs change. Keep your eyes open for high-tech tools like these! Encourage children to partner with friends. Sharing goals can help motivate—peers can remind, applaud success, and motivate through competition. Sometimes they can do all three, but peers can also make negative, distracting comments. For this reason, it is important for teachers to promote positive communication by modeling for children appropriate ways to share encouragement. Nemours KidsHealth.org: Nemours has age-appropriate resources such as games, medical dictionaries, quizzes, movies, tips, and recipes for parents. We read in 1 Corinthians 6:19 and 20 (RSV)19 that “your body is a temple of the Holy Spirit within you. . . .You are not your own; you were bought with a price.” This emphasizes the high value that Christians, and Seventh-day Adventists in particular, should place on maintaining healthy bodies and our responsibility to care for these temples. But, although health and physical-education classes are a part of most curriculum plans, educators often eat badly, sleep and exercise too little, and don’t bother to search for information about how they might improve their health. Teachers, counselors, and school nurses have a vital role to play, helping to instill these values in students from an early age—not only through creative instruction, but also by modeling good health behaviors. Adventists recognize the more familiar parts of the health message—eating a plant-based diet, avoiding harmful habits such as smoking, and so on. But we may overlook the importance of engaging in medical decision-making and working with our health-care providers to make the best choices for ourselves as individuals. Many of us don’t practice dialoging with our doctors. We may swallow our questions. We may be passive rather than active participants. However, this need not be true for the next generations. We can begin early to teach children how to be engaged partners in their own health care, and in this way, bring them closer to fulfilling the duty of stewardship over their bodies, the temple of the Holy Spirit. 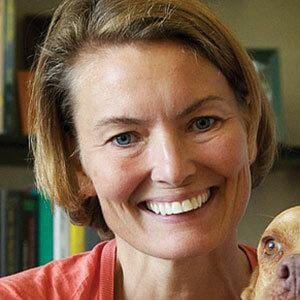 Leslie R. Martin, Ph.D., is a Professor of Psychology at La Sierra University in Riverside, California. She completed her doctorate at the University of California, Riverside, and is a Fellow of the Western Psychological Association. Dr. Martin has authored and co-authored several articles in the areas of health psychology, social psychology, and personality. Debra L. Roter and Judith A. Hall, Doctors Talking With Patients/Patients Talking With Doctors: Improving Communication in Medical Visits, 2nd ed. (Westport, Conn.: Greenwood Publishing Group, 2006). Colleen Lacey, Marsha Finkelstein, and Megan Thygeson, “The Impact of Positioning on Fear During Immunizations: Supine Versus Sitting Up,” Journal of Pediatric Nursing 23:3 (June 2008): 195-200; Mark Lumley, Barbara Melamed, and Linda Abeles, “Predicting Children’s Presurgical Anxiety and Subsequent Behavior Changes,” Journal of Pediatric Psychology 18:4 (August 1992): 481-497. Lumley, Melamed, and Abeles, “Predicting Children’s Presurgical Anxiety and Subsequent Behavior Changes,” ibid. ; Dynnette Hart and Elizabeth Bossert, “Self-reported Fears of Hospitalized School-aged Children,” Journal of Pediatric Nursing 9:2 (April 1994): 83-90; Paul Jacobson et al., “Analysis of Child and Parent Behavior During Painful Medical Procedures,” Health Psychology 9:5 (January 1990): 559-576. Arlene Butz et al., “Shared Decision Making in School-age Children With Asthma,” Pediatric Nursing 33:2 (March 2007): 111-116. Cristina Nova, Elena Vegni, and Egidio A. Moja, “The Physician-Patient-Parent Communication: A Qualitative Perspective on the Child’s Contribution,” Patient Education and Counseling 58:3 (September 2005): 327-333. Gordon H. Guyatt et al., “Children and Adult Perceptions of Childhood Asthma,” Pediatrics 99:2 (February 1997): 165-168. Neal Halfon and Miles Hochstein, “Life Course Health Development: An Integrated Framework for Developing Health, Policy, and Research,” Milbank Quarterly 80:3 (September 2002): 433-479. Howard S. Friedman et al., “Stability of Physical Activity Across the Lifespan,” Journal of Health Psychology 13:8 (November 2008): 1092-1104; Vera Mikkila et al., “Consistent Dietary Patterns Identified From Childhood to Adulthood: The Cardiovascular Risk in Young Finns Study,” British Journal of Nutrition 93:6 (June 2005): 923-931; Robert Malina, “Tracking of Physical Activity Across the Lifespan,” President’s Council on Physical Fitness and Sports Research Digest 3:14 (September 2001): 1-8; Dorthe Holst and Annemarie A. Schuller, “Oral Health in a Life-course: Birth Cohorts From 1929 to 2006 in Norway,” Community Dental Health 29:2 (June 2012): 134-143. Leslie R. Martin, Kelly B. Haskard- Zolnierek, and M. Robin DiMatteo, Health Behavior Change and Treatment Adherence: Evidence-based Guidelines for Improving Healthcare (New York: Oxford University Press, 2010). Christina De Maria, Marie-Thérèse Lussier, and Jana Bajcar, “What Do Children Know About Medications? A Review of the Literature to Guide Clinical Practice,” Canadian Family Physician 57:3 (March 2011): ­291-295. Saud F. Ghaddar et al., “Adolescent Health Literacy: The Importance of Credible Sources for Online Health Information,” Journal of School Health 82:1 (January 2012):­ 28-36. Martyn Standage et al., “Predicting Students’ Physical Activity and Health- related Well-being: A Prospective Cross-domain Investigation of Motivation Across School Physical Education and Exercise Settings,” Journal of Sport and Exercise Psychology 34:1 (February 2012): 37-60. A. Worsley et al., “Does School Health and Home Economics Education Influence Adults’ Food Knowledge?” Health Promotion International (August 2015): http://oxfordjournals.org. doi:10.1093/­ heapro/­dav078. Accessed December 2015. Martin et al., Health Behavior Change and Treatment Adherence; Thomas Bodenheimer, Connie Davis, and Halsted Holman, “Helping Patients Adopt Healthier Behaviors,” Clinical Diabetes 25:2 (April 2007): 66-70. Martin et al., Health Behavior Change and Treatment Adherence, ibid. ; Albert Bandura, “Self-efficacy: Toward a Unifying Theory of Behavioral Change,” Psychological Review 84:2 (March 1977): 191-215. Lora E. Burke et al., “Current Science on Consumer Use of Mobile Health for Cardiovascular Prevention: A Scientific Statement From the American Heart Association,” Circulation 132 (August 2015): 1-57; Leslie R. Martin and V. E. Haro, “Adherence Technologies and Treatment Engagement,” in W. O’Donohue, L. James, and C. Snipes, eds., Practical Strategies and Tools to Promote Treatment Engagement (New York: Springer International Publishing, 2017). Martin et al., Health Behavior Change and Treatment Adherence. Tripp Underwood, “Improving Medical Adherence in Kids? There’s (Going to Be) an App for That,” Thriving—Boston Children’s Hospital’s Pediatric Health Blog (July 2012): http://childrenshospitalblog.org/improving-medical-adherence-in-kids-theres-going-to-be-an-app-for-that/. Accessed June 20, 2014. Bible texts credited to RSV are from the Revised Standard Version of the Bible, copyright © 1946, 1952, 1971, by Division of Christian Education of the National Council of the Churches of Christ in the U.S.A. Used by permission.